Wendy Mulford was born in 1941 in Wales. Her books include biographies of Sylvia Townsend Warner and Valentine Ackland (with Sara Maitland) a book on female saints. 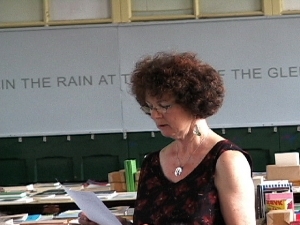 She founded Street Editions in 1972 which merged with Ken Edwards' Reality Studios to form Reality Street Editions in 1993, which published her collection The Land Between in 2009. She has lived in East Anglia for many years.